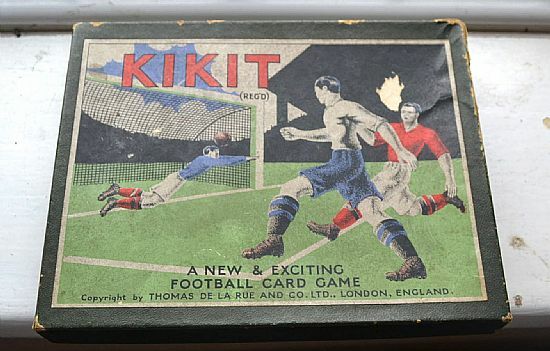 Possibly the original forerunner to the famous Penalty card game. Kikit uses the same mechanics and gameplay but not very creatively presented. Classic footballing action on the lid, some damage. 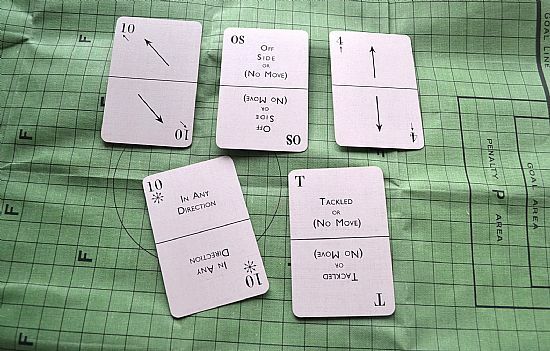 A very heavy duty pitch, ball and 55 movement cards. 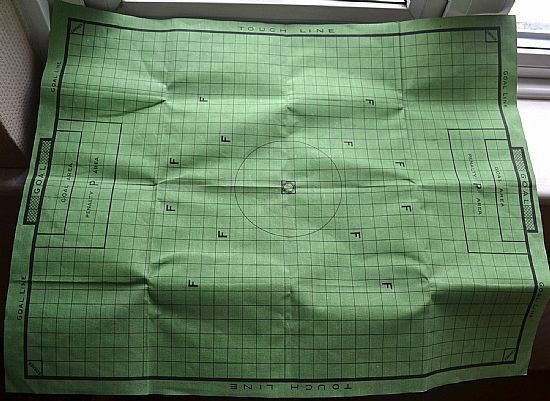 Very nice pitch with markings, the F squares mean a foul and you lose possession if you pass over one.